The light was fading and the operation was not going well. Sadly, the female dog had been spayed 3 years ago by an unqualified vet and since then she had had numerous complications. At this point of the night it became obvious that these problems were caused by a massive infection that had been allowed to remain in the womb, which had not been properly removed previously. The infection had caused many adhesions and the bleeding was significant. Emily and the students connected intravenous fluids to the dog and Alex volunteered to be a human drip stand, holding a torch in his other hand. Despite the time getting to 9.30pm, we had to continue. Earlier this month we were delighted to host the Biggs family, who hail from our home church, Enfield Baptist, in the UK. Alex and Sally have been good friends for many years and Eve and Joel, their children have always got on well with our girls. Sally and Alex have encouraged and supported us from the very beginning of our journey into missions. It was fantastic that they were able to come as a family to come and see us. They deliberately wanted to come during our ‘normal’ working time so that they could participate in each of our ministries. After a weekend of excitement, where we took the Biggs’s to see some wildlife at Murchison Falls National Park, Alex and I continued northwards to Arua. 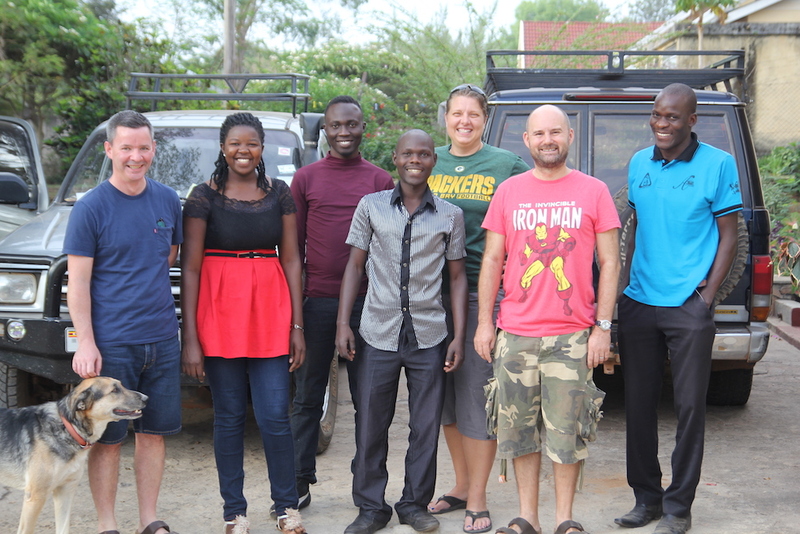 There we met my colleague Emily and four final year vet students: Ketty, Paul, Jimmy and Aaron. 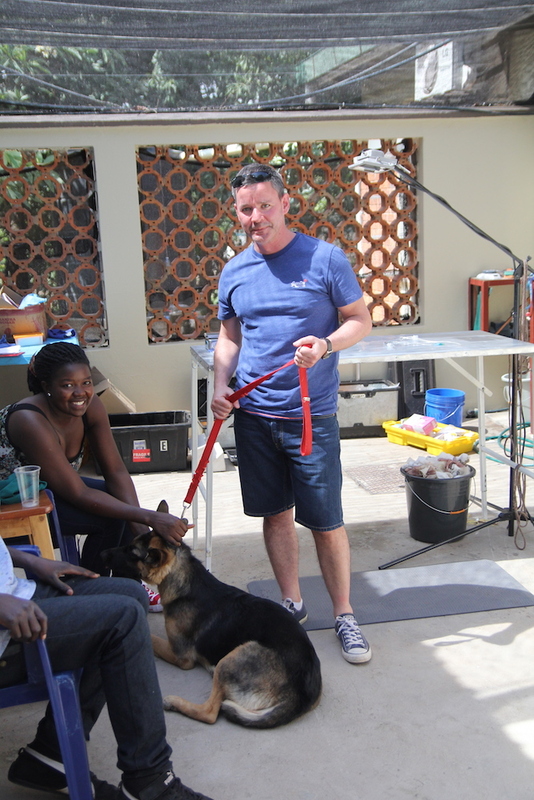 I visited Arua with students 2 years ago and we did a number of surgeries and treatments to animals there. 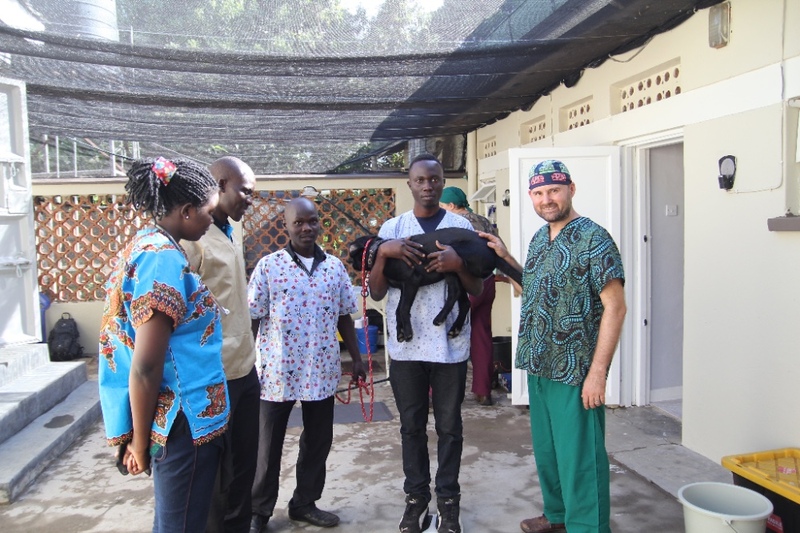 On this return visit, we had a long list of surgeries to perform as there is no local veterinary provision for small animal work in Arua. The cases there also allowed our students to have some, much needed, hands on surgical experience. Alex had been primed that the trip was happening when he was with us and had agreed to prepare some devotional times for us and the students. It was very special to sing worship songs together and talk of giving our best to God in all circumstances. In addition, Alex offered himself very humbly as chief dogsbody and dishwasher for many of the meals! This allowed the students Emily and I more time to operate and was much appreciated. 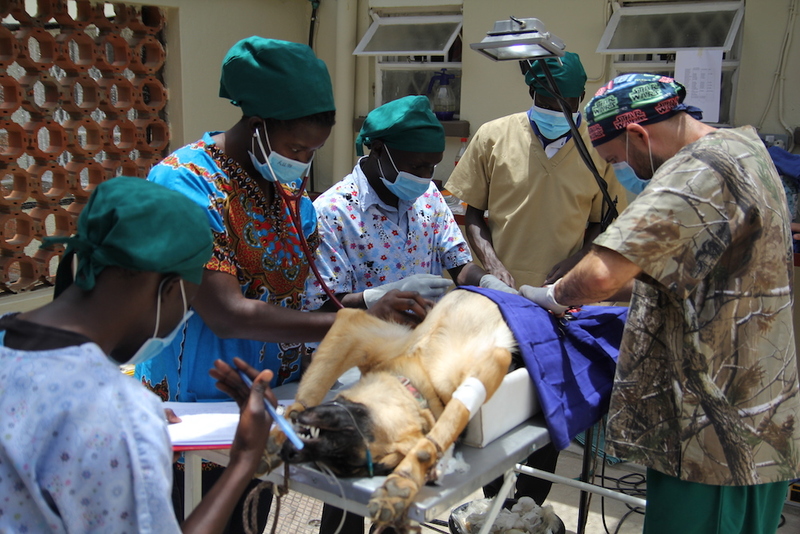 The students all had opportunity to participate fully in the anaesthesia and surgery on a number of cases. The late-night operation finished after 5 hours and we have heard recently that all is well with our patient! 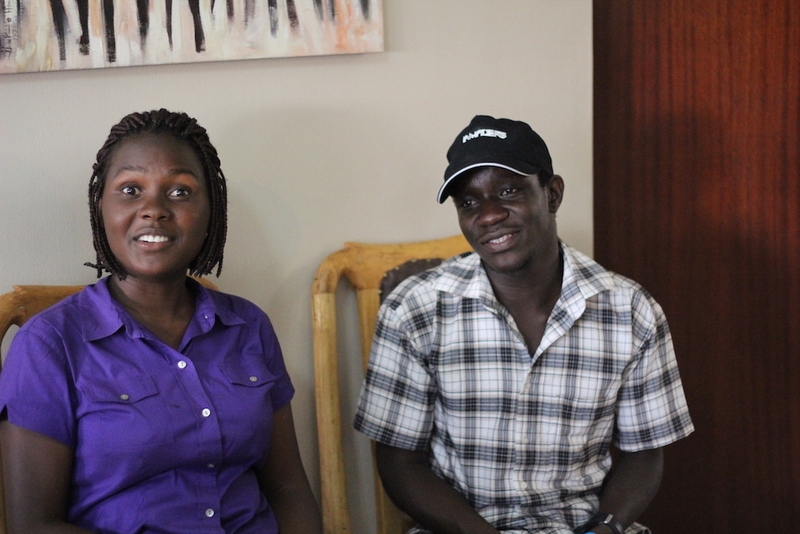 So, what happened to Sally Eve and Joel, whilst Alex was in Arua? 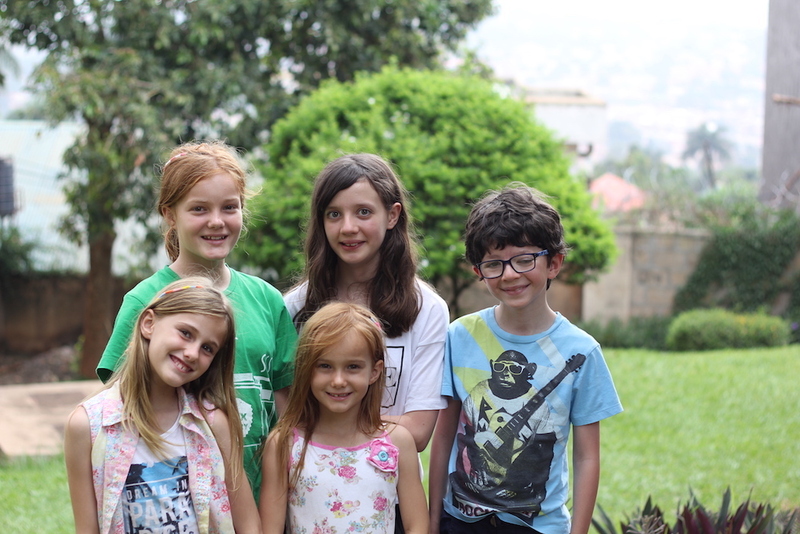 Eve and Joel joined the girls at Acacia for 3 days of International school. Sally also went to the Junior school and offered her speech therapy advice to a few of the families there. We look forward to seeing the Biggs’s and all our friends, families and supporters this summer when we return to the UK for our Home Assignment. Operating In Arua with the students. Alex lends a hand. Friends together! Alex,Ketty, Paul, Aaron, Emily, James and Jimmy. Weighing the patient prior to surgery. As the school year hurtles towards it's close, I am, like many teachers, feeling the strain of what must be finished in the time that's left. In addition to school work and my studies (I am currently studying for my NPQH -National Professional Qualification in Headship), I have had a bad bout of intestinal infections which have left me below par and still not quite right. As a thank you to the staff at the senior school, we had our annual staff appreciation party at our house. As a treat we had a whole hog roast which James and our friend Chad supervised in a specially created pit in our garden. 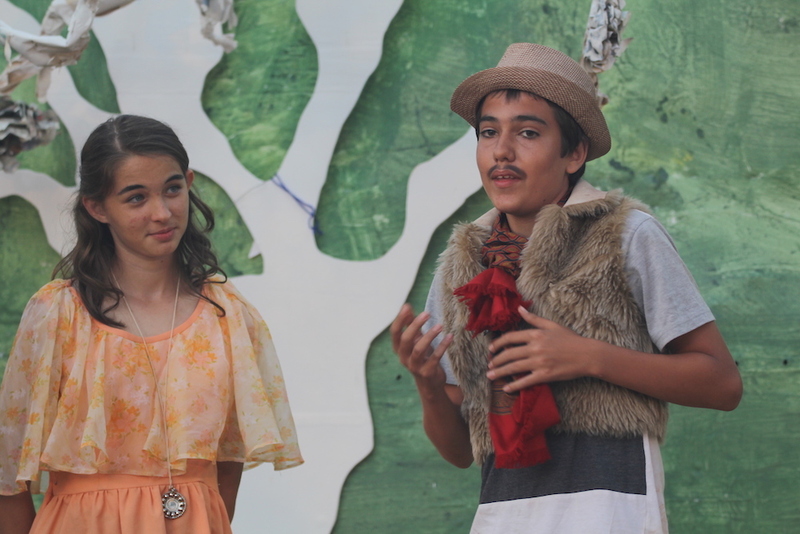 The Senior school production this year was a version of Shakespeare's As You Like It. 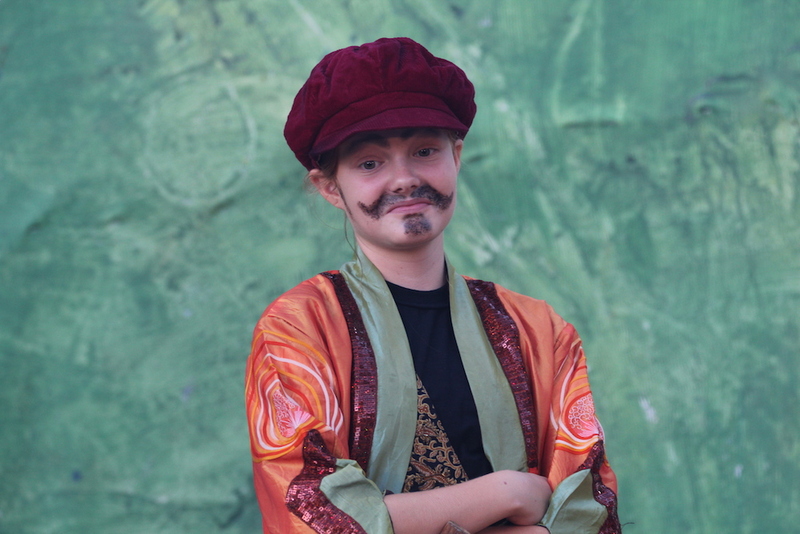 All the actors did a really great job as did the teachers who organised the rehearsals. 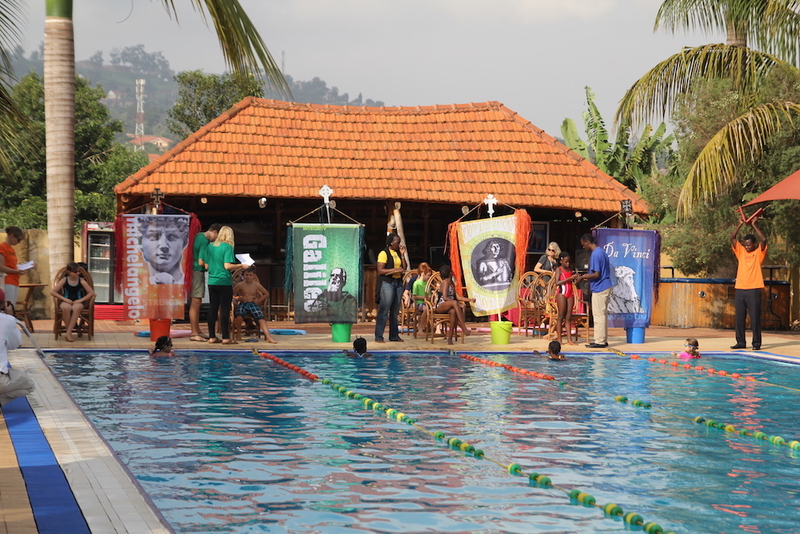 Acacia's swim gala was held recently and the four houses battled it out through many different events. Da Vinci were the victors, which suited our girls as it's their team. A couple of weeks ago, the Acacia Parent council hosted a very special event for the Grade 5-7 girls and their fathers. 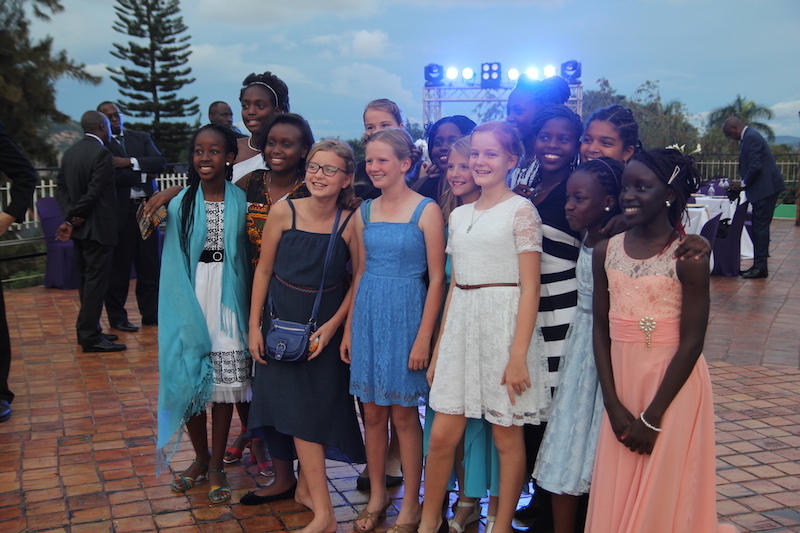 The Daddy Daughter Dance was held on the roof of the senior school and included: red carpet photos; dance classes; a lovely meal; a time for the fathers to speak to and pray for their daughters and a fun disco! Claire at the staff party with one of the teacher's new babies. Some of the staff at our house. Acacia Swim Gala in full swing. As you Like it. Ruby as Touchstone. Ruby Jessica and Florence are doing well now after a period when everyone has had some sort of intestinal problem of one kind or another. Ruby has school exams this week, which she is a bit worried about, but probably has no need to be. She is also practicing hard for her Grade 3 piano exam, which is next month. Jessica has shown great persistence progressing to the next level with her Maths work at school. She is really enjoying her after school club on Monday- Karaoke! Florence loves craft and is often found colouring or making something. She recently had the opportunity, with Jess, to be part of a sports day at the national stadium. All the girls enjoyed having Eve and Joel to stay and it was great to see how well they all got on. Pray for the Final year students as they finish their degrees. Pray that they would continue to walk with God as they move into their professional lives. 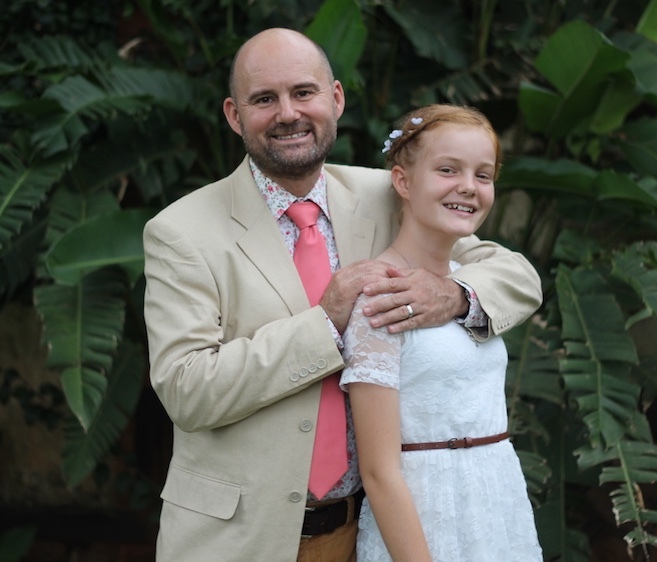 Pray for Claire, and the rest of the family, as she travels back to the UK earlier to facilitate some of her studies. 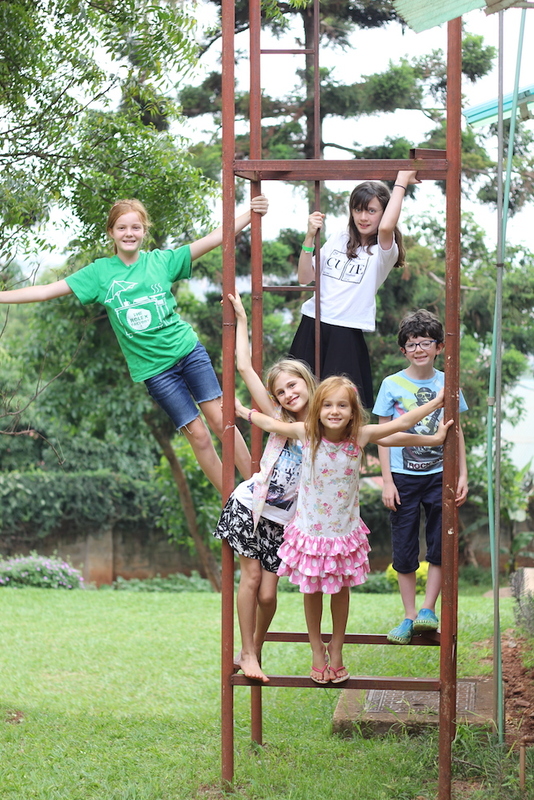 Pray for the IGCSE students sitting their exams at Acacia School and all those in the UK sitting exams. Pray for Claire as she continues to feel unwell after a long bout of stomach upsets. Give thanks for the friends that Ruby, Jess and Florence have and the blessing they are. Ruby and friends at the Daddy Daughter Dance.